Operating a fully functioning winery within city limits is a ludicrous proposition on its own—consider the cost of rent, equipment to fit a small space, and the transportation of grapes from vineyard to city alone, and you've probably already got a headache. (And no, it's not the sulfits in your wine talking.) Now times that by ten. What you've got is Portland’s Southeast Wine Collective, home to 10 fully operating wine brands, communally vinifying under one roof. This bustling wine collective is the vision of founders Kate Norris and Tom Monroe, who were able to see past the immediate challenges of a communal winemaking space in the name of comradery, community, and the financial savings that such a space would create for Portland’s up-and-coming winemaking scene. The duo founded their own wine brand, Division Winemaking Company, back in 2010, while working at separate wineries in the Willamette Valley. “At the time, the style of the wines we wanted to make were seemingly underrepresented in Oregon,” explains Norris. Their solution? Create a space where carefully made wines could be enjoyed right at the heart of the source. But even though the costs of commuting to wine country were eliminated by opening a winery in the middle of the city, plenty of new expenses—did we mention rent and equipment already?—meant that Division wasn’t quite big enough to support its own operations just yet. Enter the Collective. “We thought if we banded together with some of our winemaking peers, we could make a go of it,” she says. That same year, the Southeast Wine Collective was officially born. Norris compares the Collective to an incubator or springboard, describing the facility as a place for like-minded wineries to come and explore the next generation of Orgeon’s dynamic winescape; though choosing which wineries receive precious Collective space is no simple task. Norris equates the process to that of finding a roommate. “You want to know that you can get along, that they will clean up after themselves, and that they can afford to come up with the rent each month,” she laughs, noting that there is also a specific "nuance" that she and Monroe seek out—one that encompasses wineries seeking to add to the picture of Northwest wine, not simply do something what everyone else is doing. As for the winemakers who operate out the Collective, they see the communal space as a boon. 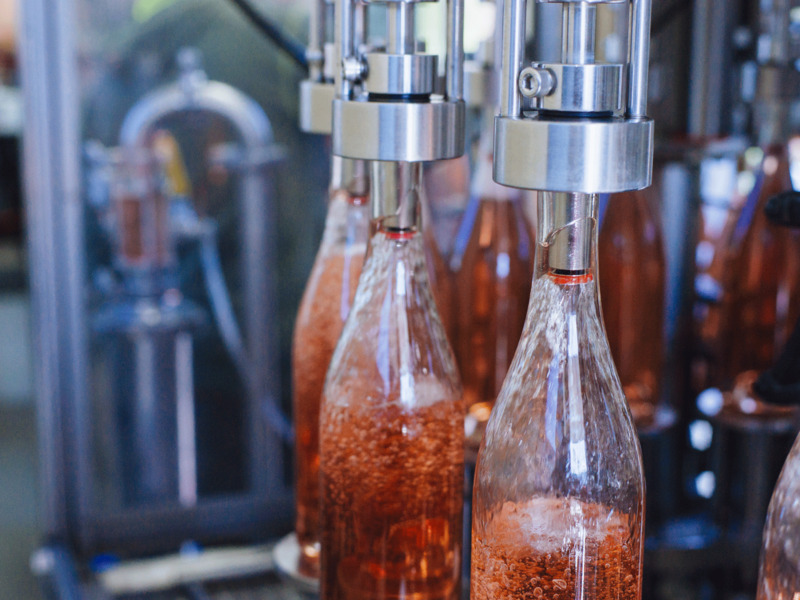 Joe Padulo, a co-owner of Laelaps, one of the 10 wineries operating in the Collective, says that patience is key, and that cleanliness, as well as demand for equipment, remain the Collective’s two biggest challenges. On the other hand, Padulo highlights the strong sense of community that Laelaps feels amongst the Collective’s winemakers. Dan Welsh, co-owner and winemaker at Welsh Family Wines, joined the SE Wine Collective in 2014, after intentionally seeking out a communal winemaking space. A background in public health helped him understand the conundrums of distribution—which he found equally present within the wine world. Welsh uses a costly grape press as a prime example. “If I had a press, I would use it three days a year. But if I rent one by the time used, which is essentially what we do at the SE Wine Collective, I save money and others get the benefit of a highend press. This justifies the cost of a shared resource.” The culture of sharing and cooperation also attracted Welsh to a collective winemaking space because he could ask questions, give and receive advice, and hang around with passionate, like-minded people. He also notes the benefit of having Oui, the wine bar in the building, because it places emphasis on the wines and producers working within the space. 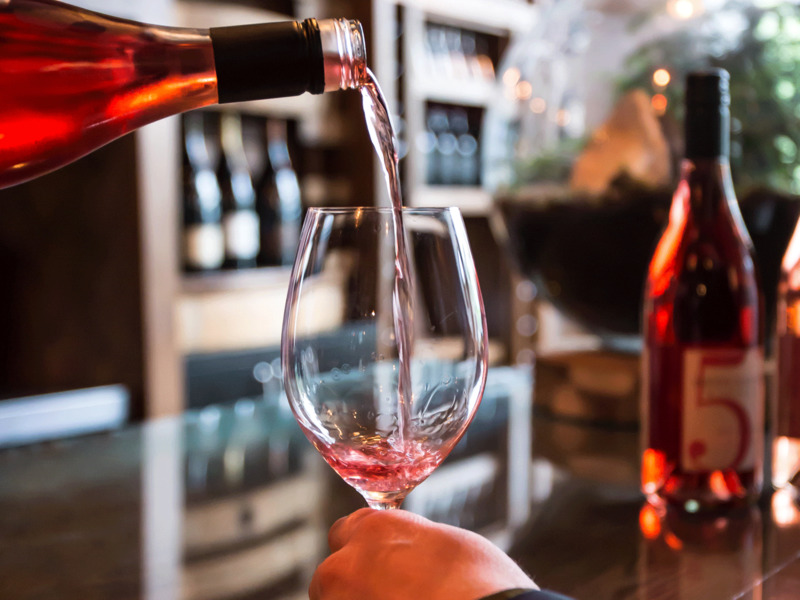 Within the SE Wine Collective, Division remains the largest operator of the 10 existing brands, conducting business in 25+ U.S. states, as well as four other countries. The Collective’s tasting bar had gradually grown over the course of five years, and in 2017, officially opened as Oui! restaurant and wine bar.